5″ SHOT ON TARGET (PVCS): John Burb – Pushed away by General Grunt. 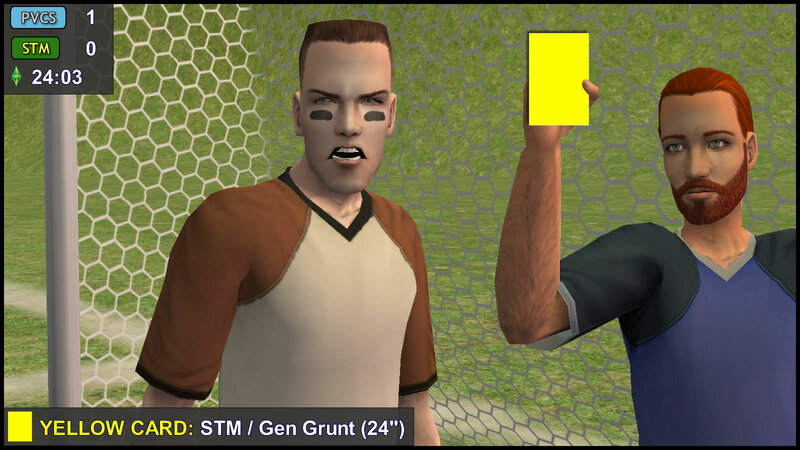 10″ YELLOW CARD (PVCS): Don Lothario – bad tackle on Bianca Monty. 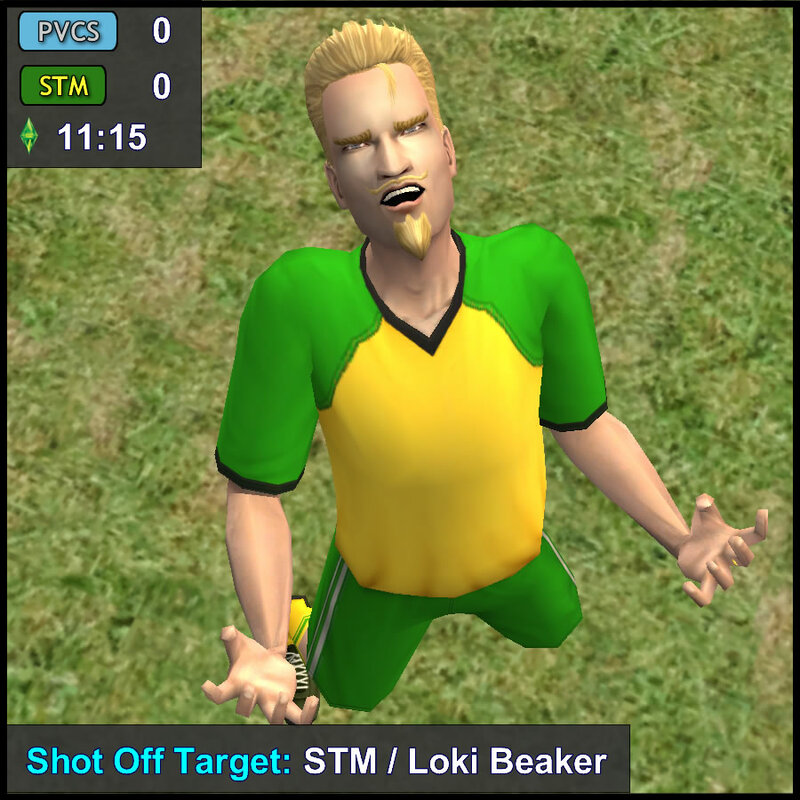 11″ FREE KICK (STM): Loki Beaker takes it, but puts it too high. 15″ OFFSIDE (STM): Nervous Subject. 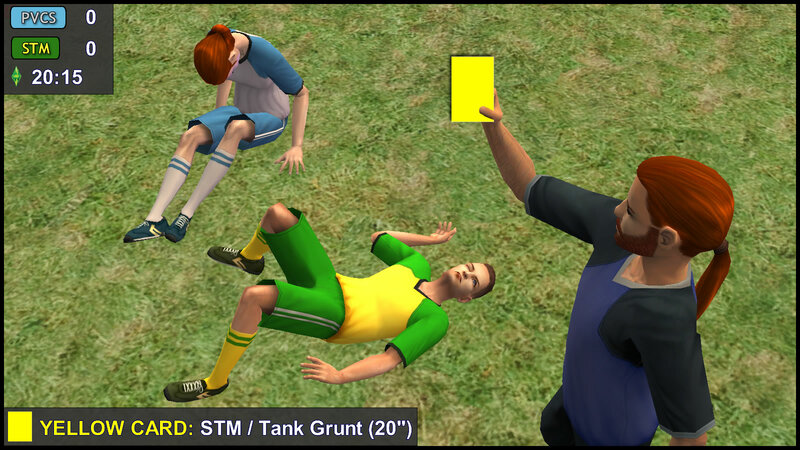 20″ YELLOW CARD (STM): Tank Grunt – Collision with Titania Summerdream. Wait a minute, the Replay shows that Titania was the one who initiated the collision. What did the referee see? Was he bewitched? Ripp and Buck, the younger Grunts, are watching on the stands. 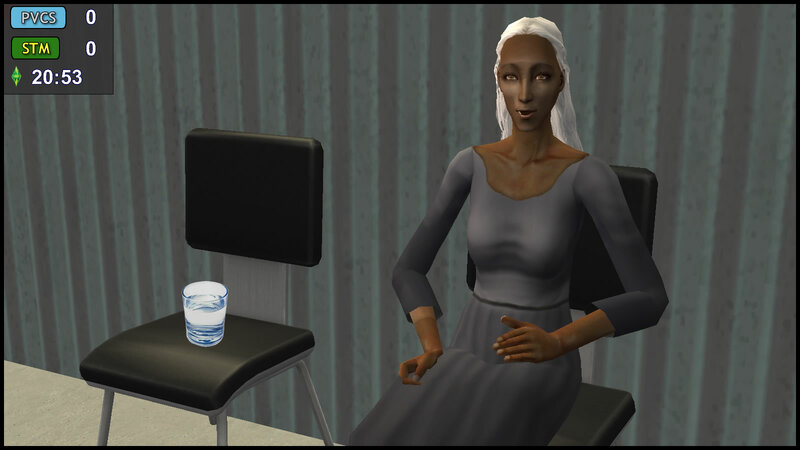 Ophelia Nigmos sits with them, instead of with her aunt. Jenny and Jill Smith are sitting nearby, cheering their menfolk: son/brother (Johnny) on the pitch, and husband/father (PT9) on the bench. Where is Ophelia’s Aunt anyway? 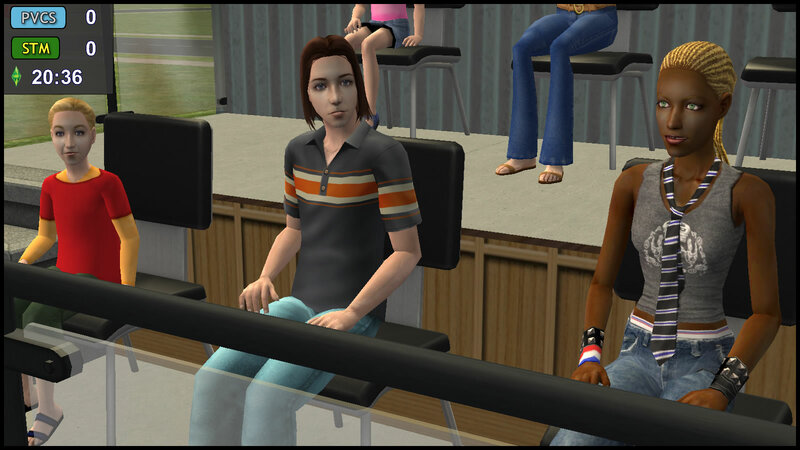 Olive Specter is sitting further away on the stands, holding a glass of water that she doesn’t seem to drink. Sometimes her mouth moves slightly, and sometimes she closes her eyes. Is she here simply to watch her son (Nervous Subject) play, or is there something more? Rude gesture & calling the referee a llama. Grunt insists that Puck was offside… but the Replay shows he really wasn’t. The younger Grunts bang their heads. 29″ SHOT OFF TARGET (STM): Kent Capp lobs the ball to Vidcund Curious, and he’s one-on-one with Darren Dreamer, but puts it wide. 33″ SHOT ON TARGET (STM): Bianca Monty is assisted by Kent Capp, but Dreamer pushes it away. 41″ SHOT OFF TARGET (PVCS): Dirk Dreamer lobs the ball to Titania Summerdream, who boldly volleys it onto goal. There’s no way Grunt could reach that, but it hits the post! 41″ SHOT ON TARGET (PVCS): The rebound reaches Puck Summerdream, who fires on target. Grunt is still down the wrong way, but Mercutio Monty clears it off the line! That could have been Puck’s second. The Summerdreams’ attack is going strong! Consort Capp smirks at Patrizio Monty, but PT9 puts a restraining hand on the Monty patriarch. 42″: Ajay Loner is down again. A fair collision with Dustin Broke. 43″ SUBSTITUTION (STM): Ajay Loner Out, Antonio Monty In. S2P: Well AH, what do you think of the match so far? AH: It was a sublime first half! 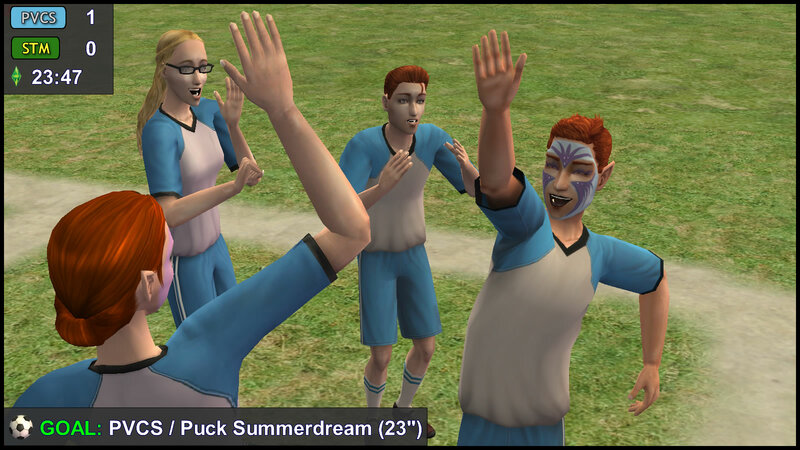 The goal from Puck Summerdream seemed… magical. 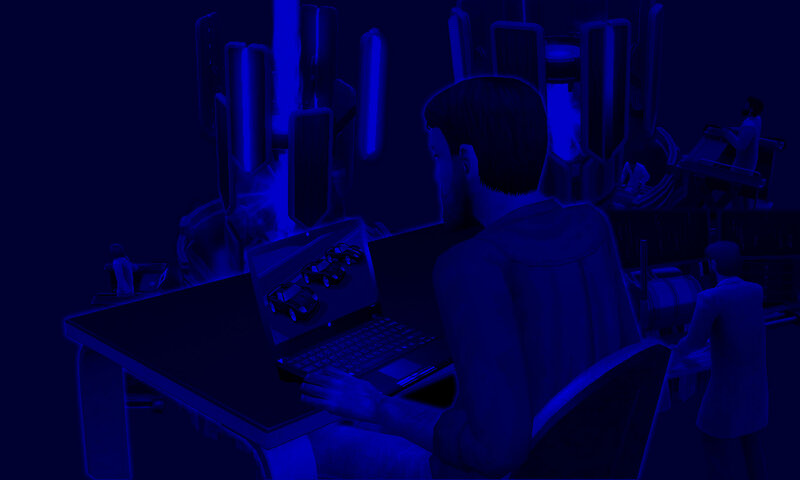 S2P: As for A.Loner’s injury… how badly off do you think he is? AH: Hope he recovers soon. He seemed to be in great pain. Antonio Monty has to take over now. AH: Yes, hopefully we’ll see more great football from both sides in the second half. It’s AH and S2P live at the Llama Memorial Stadium. Half-Time Score, PVCS 1, STM 0.